In my last post I laid out a brief overview of the origins and development of Sunday Schools in England. Now I want to turn more specifically to what was taught in Sunday Schools. I have already laid out the contours of the debate over reading and writing instruction, but now I will more closely examine some of the most popular Sunday School textbooks. These textbooks speak for themselves as a living record of how early Sunday School organizers, teachers, and students viewed the tasks of reading and writing instruction. Textbook publication by and for turn of the eighteenth century Sunday Schools was a major enterprise. Laqueur estimates that, between 1809 and 1830 over 10 million copies of two of the most popular Sunday School readers were sold (114). The non-denominational Sunday School Union was especially active in producing Sunday School materials that were used by schools across the denominational spectrum. Broadly speaking, though, Sunday School textbooks can be divided into two categories: Readers/Spellers and Catechisms/Moral Literature. The aims of both were relatively similar and there was inevitably some cross pollination between the two genres, but each served a defined purpose within the Sunday School classroom. Both were cheaply mass produced for a vast audience and distributed across the country. As such, though the goals and aims of each Sunday School may have been different, many used the same curriculum. The first category of Sunday School textbook are the Readers and Spellers. The most popular readers and spellers remained relatively consistent throughout the late eighteenth and early nineteenth century as they were both cheap to produce and readily available. They included: William Paley’s Reading Made Completely Easy, T. Wise’s Reading Made Easy and Best Guide to Spelling, and Joseph Brown’s New English Primer, or Reading Made Easy. Each textbook followed a relatively similar graduated curriculum that stressed progressive exercises in reading and spelling. Students would first be introduced to the letters of the alphabet and then progressively work through one, two, three, and multisyllable words. Each unit also usually contained a short story or scripture passage that used many of the words included in the lesson. These stories, if not from scripture itself, usually contained an explicit moral lesson for the child to learn. Furthermore, rough woodcuts often accompanied the stories or words to illustrate the concepts visually for the student. If his Aesop has pictures in it, it will entertain him much better, and encourage him to read, when it carries the increase of knowledge with it: for such visible objects children hear talked of in vain and without any satisfaction whilst they have no ideas of them; those ideas being not to be had from sounds, but from the things themselves or their pictures. And therefore I think as soon as he begins to spell, as many pictures of animals should be got him as can be found, with the printed names to them, which at the same time will invite him to read, and afford him matter of enquiry and knowledge. In thus arguing for the incorporation of pictures of animals and other natural objects into a text, Locke posits a pedagogical role for illustrations which, according to Schultz, worked to “extend… the limits of the children’s knowledge and help… them to connect with a world larger than that of their immediate circumstance” (88). 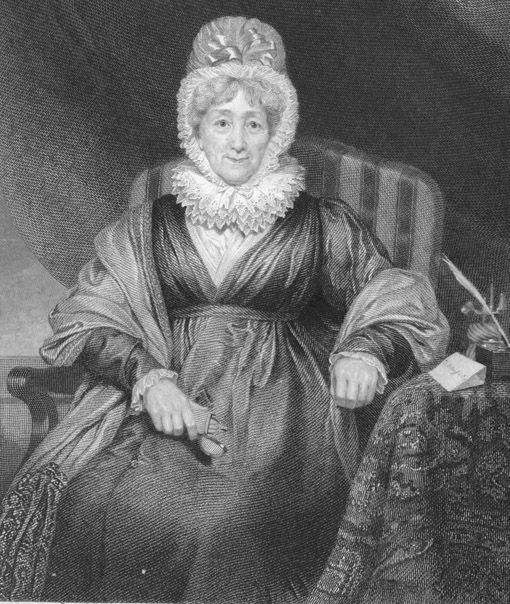 This theory was picked up by Anna Laetitia Barbauld (1743-1825) who in 1778 published Lessons for Children – a groundbreaking children’s book which not only included pictures but led children through basic concepts step by step – mirroring the complexity of the subject matter with the complexity of the language. Paley’s Reading Made Completely Easy, for example, which was one of the most widely used Sunday School texts (Laqueur 114) was subtitled: A Necessary Introduction to the Bible: Consisting Chiefly of Scripture Sentences; Each lesson of which is disposed in such Order, as the Learner is led on with pleasure, Step by Step, from simple and easy, to compound and difficult words: which is allowed by All to be the most regular, speedy, and rational Method of Teaching. By thus adopting the Lockean method of leading the student step by step through graduated lessons that stressed experience, Reading Made Completely Easy adopts a decidely “rational” approach to education that is based on theories of cognition instead of innate knowledge. 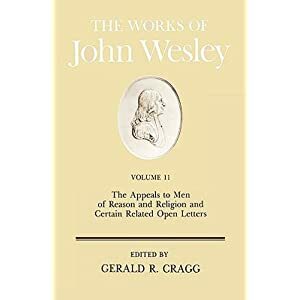 Furthermore, by explicitely illustrating its lessons through “scripture sentences,” and by concluding with a brief catechism that leads students through the basic tenants of the faith, it fulfills the other chief goal of the Sunday School – instruction in Bible reading and Christian living. Here children are encouraged to associate specific simple words and phrases with still life representations. Representations that, interestingly enough, confirm the established divide between king and beggar and the traditional societal role of the farmer or miller. Thus, even when the material included in the Readers and Spellers is not explicitely religious, it is specifically moral. Reading Made Easy, for example, includes an entire section of fables that include a specific moral. In the fable of “The Lion and the Mouse” the moral is that “the great and little may need the Help of one another – the most powerful or wealthy Person on Earth may want the Assistance of the smallest or poorest, in some Way or other. – for who could have thought that the Lion, so powerful as he is, could have been indebted to a Mouse for his Life.” Even here, then, the reading exercise seeks to promote virtue and knowing one’s place in the social order. And the woodcut that accompanies the story provides a vivid visual example for the young reader. Overall, then, the Readers and Spellers that were used by Sunday Schools served a variety of purposes. 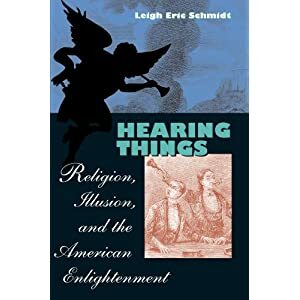 Not only did they teach reading and writing based on Lockean educational theories about experiential, graduated knowledge – they also promoted social and religious virtue through the reading exercises that accompanied the texts. In some texts (Reading Made Completely Easy) the scriptural component was more pronounced than others, but all sought to promote literacy within the context of societal order. The second category of Sunday School textbook that was used by almost all the schools was some form of catechism and/or moral literature. Remember that Hannah More only allowed the use of “two little tracts called ‘Questions for the Mendip Schools,’… the Church Catechism… the Catechism broke into short questions, Spelling-books, Psalters, Common Prayer-book, and Bible” (6). We have already seen how catechistic and moral material could be woven into the readers and spellers that most Sunday Schools used, but there was also an entirely separate category of moral and religious literature that was used alongside these core texts. In the case of catechisms, such texts were often abridgements of standard catechisms adapted to both the age of the audience and particular denominational differences. Hannah More’s Questions and Answers for the Mendip and Sunday Schools is a brief (eleven page) text which abridges the Church of England catechism, asking questions like “Who made you and all the world?” and “Who redeemed you?” By thus applying reading instruction to Church doctrine, More was able to both control what children read and inculcate religious virtue. 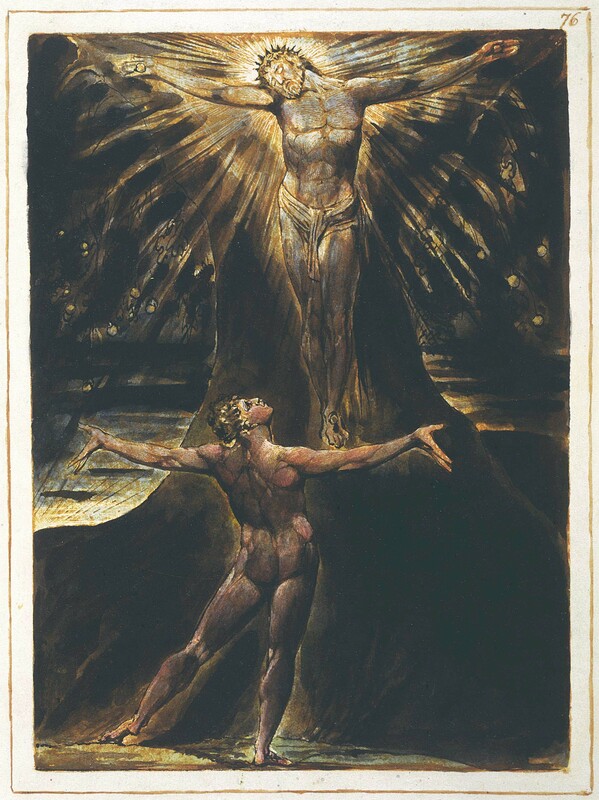 In this she also follows Locke who suggested that “as soon as he can say the Lord’s Prayer, Creed, the Ten Commandments, by heart, it may be fit for him to learn a question every day, or every week, as his understanding is able to receive and his memory to retain them.” Thus progressive reading and memorization are combined to instill moral principles for, as Locked argues in his Essay on Humane Understanding, these are the principles that, if learned while young, will guide a child through the rest of his or her life. Likewise, the cheap moral literature spawned by More and the Sunday School movement worked to not only provide acceptable reading material for children, but also counteract a nascent popular culture that reformers like More thought both immoral and potentially politically radical. Though little studied today, there was a tradition of cheap popular literature in England that dated to the early seventeenth century. Broadside ballads, cheap pamphlets, and bawdy tracts were produced cheaply and en masse and then sold throughout the countryside by ballad hawkers (Pederson 87). Such literature was tremendously popular but also deeply troubling to someone like Hannah More who objected to the often immoral sexual content of the broadsides. This concern was exacerbated in the years after the French Revolution when pamphlets like Tom Paine’s Rights of Man began to circulate in cheap editions among the poor. To counteract these influences, More first published Village Politics in 1792 and then began the Cheap Repository Tracts in 1795 (Pederson 84). Village Politics is an explicit reaction to the French Revolution controversy. It uses the characters of Jack Anvil, the blacksmith, and Tom Hod, the mason – two workmen on opposite sides of the controversy – to argue that the existing social system works in the best interests of rich and poor. Likewise, the Cheap Repository inculcates these ideas on a more subtle level. In The Cottage Cook, for instance, More introduces the character of Mrs. Jones, a middle class woman who (much like More herself) moves to the country and begins to teach the local population how to live moral, upright lives. In The Cottage Cook she goes about teaching the women of the parish how to make the most of their meager resources and accept their social place. Then, in The Sunday School she begins a Sunday School despite the opposition from local farmers and prevalence hawkers out selling their “immoral” literature to the young ladies of the parish. By the end of the tract, however, she has established her Sunday School and is busy teaching moral virtue. Finally, The History of Hester Wilmot follows the history of one of Mrs. Jones’ star pupils who, by exhibiting the Christian virtues she learns in Sunday School, leads her parents to lead better, more religious lives. 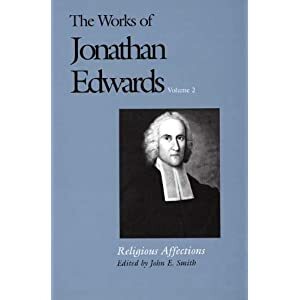 Thus, the Cheap Repository Tracts worked not only to provide acceptable reading material for the Sunday Schools, they also modeled More’s vision for how the schools could counteract the influence of popular, radical culture and reform society. Finally, such works proved to be tremendously successful. In the case of More’s Cheap Repository Tracts, 300,000 were sold or distributed between March 3 and April 18, 1795; 700,000 by July 1795; and over 2 million by March 1796 (Pederson 112). Furthermore, More’s work paved the way for an explosion of nineteenth century moral periodicals written explicitly for Sunday Schools. Titles like the Sunday School Magazine, which was published and distributed by the Sunday School Union, sprung up and gained circulation numbers the millions. In fact, by 1839 25-30 million of such moral tracts and literature had been distributed – outselling even the most popular bestsellers (Laqueur 118). Clearly, then, such literature worked to shape the way children learned to read, write, and relate to key social institutions throughout the late eighteenth and early nineteenth centuries. Thus we return once again to the questions of class and social relations in Sunday Schools. While this brief survey of Sunday School literature and practice is far from comprehensive, nevertheless is suggests some of the interrelated and complex ways that class and literacy interact both in the eighteenth century and today. For if we take seriously Ruggles Gere’s argument that the extracurriculum is an important site of instruction that deeply influences how students think and write, we need to start to think past easy assumptions about the interplay between religion, social class, and education. In particular we need to carefully reassess the class assumptions that have been made about eighteenth and nineteenth century Sunday School students and then apply these lessons to current composition practice. In the first case it has been long assumed that Sunday Schools operated more as instruments of social control than social liberation. This is primarily due to the influence of E.P. Thompson and to the fact that the early Sunday School reformers like Raikes, Hanway, and More were so socially conservative. Furthermore, as an analysis of the actual Sunday School literature shows, many early texts did work to subtly inculcate religious virtues and stable class relations. Nevertheless, here as elsewhere I would argue that Marshal McLuhan’s famous dictum that “the medium is the message” applies more than ever – for despite the texts socially conservative messages, the medium was really quite progressive. Using progressive exercises and woodblock illustrations these early textbooks created a sort of spiritual literacy that grew out of the forms and structures of the classroom exercises. Much as I learned to read and write through gradual repetition and structured scripture memory, millions of eighteenth and nineteenth century children also developed these skills in this way – skills that often opened avenues far beyond the intent of a Hannah More or a Robert Raikes. Thus, not only did these children learn how to read and write in Sunday School, they learned how to relate to their rapidly changing world. In this sense Sunday Schools became a sort of refuge for children from the brutal factory owner or mill foreman instead of a further instrument of repression. Secondly, the study of these early Sunday Schools has clear implications for modern English and composition practitioners. The Sunday School as a specific site of extracurricular instruction suggests ways in which locations outside of traditional schools can have a profound impact on the way students think, read, and write even today. As in the eighteenth and nineteenth centuries, many of our students come to us with literacies that are shaped far more by extracurricular learning than school learning. Teaching, as I do, in urban Detroit many of my students have had as little structured literacy instruction as the eighteenth century child. Nevertheless they have been shaped by writing and reading practices they have learned in their communities and/or religious institutions. Thus it is that one of my African American students struggles to construct a coherent scholarly argument, but is brilliant at writing social commentary poetry in the tradition of religious spirituals. By recognizing these extracurricular sites of instruction as important we can both legitimate our students’ literacy practices and begin to think about how we can better incorporate their literacies into our discourse. Laqueur, Thomas Walter. Religion and Respectability: Sunday Schools and Working Class Culture, 1780-1850. New Haven: Yale UP, 1976. More, Hannah. Mendip Annals: Or, A Narrative of the Charitable Labours of Hannah and Martha More in Their Neighbourhood. London: Nisbet, 1859. Pederson, Susan. “Hannah More Meets Simple Simon: Tracts, Chapbooks, and Popular Culture in Late Eighteenth Century England.” Journal of British Studies 25.1 (1986): 84-113. Ruggles Gere, Anne. “Kitchen Tables and Rented Rooms: The Extracurriculum of Composition.” College Composition and Communication 45.1 (1994): 75-92. Schultz, Lucille M. The Young Composers: Composition’s Beginnings in Nineteenth-Century Schools. Carbondale: Southern Illinois UP, 1999. This is the first part of a larger project on the early English Sunday School movement and the literacy practices it inculcated through the use of graduated readers and moral literature. As far back as I can remember words have always been a part of my life. From the time I was an infant, my parents read to me constantly – The Wizard of Oz, The Swiss Family Robinson, The Chronicles of Narnia were only a few of my favorites that absorbed before I could even read. We had a televisionbut this was before cable and satellite (we couldn’t have afforded it anyway) and my television watching was limited primarily to Sesame Street, Mr. Rogers’ Neighborhood, and Reading Rainbow – all programs that were full of stories and words. I didn’t have access to the internet until I was in junior high school and, even then, my usage was strictly limited. By the time I was in kindergarten I could already read and write simple sentences. When I entered kindergarten, I was exposed to different types of literacy practices. I attended a conservative religious school where my father taught and where modern literacy theories like “whole language” were viewed with suspicion. Instead, I was given a Victory Drill Book, a navy blue, hardback volume with gold lettering on the cover. It was filled with list upon list of words – single syllable words, multiple syllable words, rhyming words. Each week, it would be my task to learn all of the words on one page of the Victory Drill Book and read them to my teacher, without error and within a prescribed amount of time. I quickly became a master at this, completing the entire book before all but one of my classmates. Finally, my journey towards literacy was deeply informed by my experiences at church. Sunday School, though a far cry from the educational Sunday Schools of the 18th and 19th centuries that are the focus of this essay, was a focal point of my life. Each Sunday I would attend a graded Sunday school class in the morning and “Children’s Church” during the adult service. In these classes the focus was on learning to read and understand Scripture. Bible stories were taught through a combination of memorization, activities, and instruction as we learned the make the Bible the focus of our lives. As my own experience makes clear, my journey towards literacy and writing was informed by powerful forces both inside and outside the classroom. Moreover, each of these literacy influences continues to inform how I think about reading and writing to this day. While ample scholarly research has been conducted on the development of literacy and composition within school walls, little has focused on what goes on outside them, in what Anne Ruggles Gere terms the “extracurriculum.” This is in part because, as Ruggles Gere points out, “we in composition studies have sought to establish our right to a place in the academy by recounting our past, and this historiography has focused inside classroom walls” (78). Furthermore, histories of composition studies that have considered the extracurriculum have largely viewed it as a stopping point on the way to scholarly engagement with writing instead of as something that, “extends beyond the academy to encompass the multiple contexts in which persons seek to improve their own writing; … includes more diversity in gender, race, and class among writers; and… avoids, as much as possible, a reenactment of professionalization in its narrative” (Ruggles Gere 80). By thus considering the extracurriculum (in this case the Sunday School) in its own terms, we can better gauge how specific sites influenced the literacy and composition practices of a far wider group of people. Textbooks have a particular status in the history of the book. They are unusual and difficult books in the variety of their parts, the mode of their author, and their publication history. Like cookbooks, children’s books, and popular fiction, they often slide beneath bibliographers’ and historians’ radar, mentioned as a totality rather than in their particularity or difference (11). 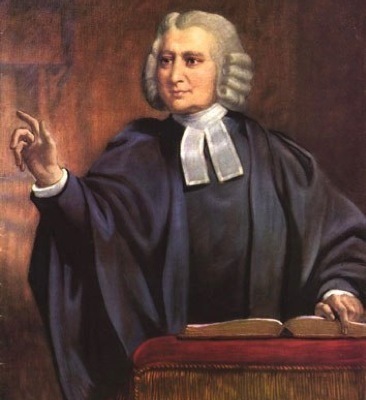 It is in this particularity and difference, though, that we can begin to unravel what influenced these texts and how the texts were used in early Sunday Schools; and it is in tracing the multiplicity of these texts that we can begin to understand the far reaching effects of Sunday Schools in late eighteenth century Britain and today. Interestingly enough, each of my literacy influences illustrate the key aims and methods of turn of the nineteenth century Sunday Schools that I will trace in these textbooks. For the eighteenth and nineteenth Sunday School, as for my Sunday School, the goal was scripture literacy and the methods employed to reach that goal were often repetition of lists of words, memorization, illustration, and imitation. What I want to argue is that such methods, far more than larger social or cultural factors, subtly shaped the types of literacy that the early Sunday School produced. These types of literacy in turn informed how an increasingly literate, industrial populace engaged with the larger social questions of the day. Thus, by examining the material texts of early Sunday Schools – textbooks, spellers, catechisms – we can develop a clearer perspective on the often turbulent relationship between reading, writing, religion, and society at the turn of the nineteenth century. Until the middle of the nineteenth century free public education did not exist in England. While the aristocracy hired governesses or sent their children to expensive private academies like Eaton and later on to Oxford and Cambridge, there were few viable options for the vast majority of the population. Though local grammar and finishing schools did exist, they were prohibitively expensive and families would send at most one child to such schools. As such, the demand for basic education was high among England’s rapidly expanding working class population. Parents realized that learning to read and write was a vital skill, but they simply could not afford it. Thus Sunday schools are a case of a fortunate confluence of religious, social, and economic forces that collided to create a movement that, by 1851, served over two million children (Laqueur xi). I was walking into the suburbs of the city, where the lowest of the people (who are principally employed in the pin-manufactury) chiefly reside [when] I was struck with concern at seeing a group of children wretchedly ragged, at play in the street. I asked an inhabitant whether those children belonged to that part of the town, and lamented their misery and idleness. – Ah! Sir, said the woman to whom I was speaking, could you take a view of this part of town on Sunday, you should be shocked indeed; for then the street is filled with multitudes of these wretches who, released on that day from their employment, spend their time in noise and riot and playing at chuck, and cursing and swearing in a manner so horrid, as to convey to any serious mind an idea of hell, rather than any other place (qtd. in Tolar Burton 270). In those parishes where this plan has been adopted, we are assured that the behaviour of the children is greatly civilized. The barbarous ignorance in which they had before lived being in some degree dispelled, they begin to give proofs that those persons are mistaken who consider the lower orders of mankind as incapable of improvement, and therefore think an attempt to reclaim them impracticable, or at least not worth the trouble (qtd in Power 35-36). Thus as their inception Sunday Schools, much like the charity schools that had preceded them, sprung from a desperate need for education among the still coalescing working class. Unlike Scotland, England had no system of free public education and most poor families could not afford to send their children to school; thus Sunday Schools filled a much needed gap in the education of children and illiterate adults. 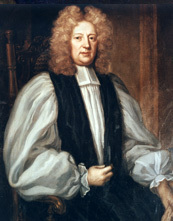 Though expressed by Raikes as a concern for public order among the poorer classes, his Sunday Schools met a real social need and also responded to rapidly changing social conditions in England during the 1780’s. 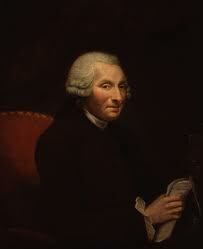 Like Raikes, London philanthropist Jonas Hanway (1712-1786) was also deeply concerned about the living conditions of the working poor and the moral effect these conditions had on individuals and society. Best known for his work with foundlings, Hanway was a tireless advocate for what he saw as the inexcusable treatment of children (Taylor 286). To this end, in 1785 he published A Sentimental History of Chimney Sweeps in London and Westminster Shewing the Necessity of putting them under regulations to prevent the grossest Inhumanity to the Climbing Boys with a letter to a London Clergyman on Sunday Schools calculated for the preservation of the Children of the Poor which detailed the deplorable conditions under which young chimney sweepers, or “climbing boys” worked. According to Hanway, boys as young as five were apprenticed by master chimney sweepers who forced them to climb up “chimnies [sic] which are on fire; or to climb chimnies too strait in their dimensions” (xvii). In addition, these boys would often be forced to live in filth and often contracted cancer from the amount of soot they had to breath in. In response, Hanway urges his readers to both support reforms that would change the way such working boys were treated and proposes the establishment of Sunday Schools as a means shaping the boys moral education. Indeed, in his 1786 Comprehensive View of Sunday Schools Hanway goes even further by laying out a justification for Sunday Schools that frames them explicitely in terms of a reformation of manners among the poor. “The better condition the labourer’s children are put in, with regard to moral and religious instruction,” he writes, “the less they will turn their thoughts to pilfering and beggary. They will become more industrious, be tighter and cleaner in their garments, and be better nourished” (iii). Thus, for Hanway, Sunday Schools were a means to raising the condition of the poor only as high as their societal station allowed. By inculcating moral and religious principles, middle class philanthropists like Hanway hope to better regulate the poor so that they would quiescently accept their station in life. Nevertheless, at least until 1800, there was a deep anxiety among the middle and upper classes over the wisdom of teaching the poor to read – nevermind write. The fear among the ruling classes was that if the poor were taught to read they would be more susceptible to dangerous or seditious literature like Tom Paine’s The Rights of Man. 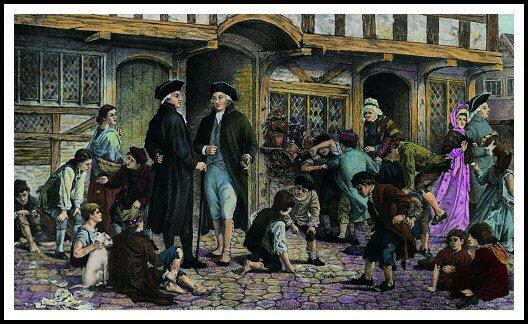 Especially in the years following the French Revolution when radical pamphlets and tracts abounded, the propriety of teaching the poor to read was profoundly questioned. It thus became the job of Sunday School proponents to convince their wealthy donors that by teaching the poor to read they were actually guarding against radical activity. As Hanway writes in Comprehensive View, “The better Christians they are, the better subjects they will make” (xii). …my plan for instructing the poor is very limited and strict. They learn of week-days such coarse works as may fit them for servants. I allow of no writing. 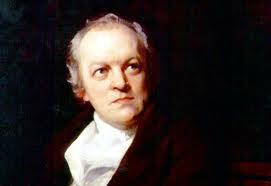 My object has not been to teach dogmas and opinions, but to form the lower class to habits of industry and virtue. I know no way of teaching morals but by infusing princoples of Christianity, nor of teaching Christianity without a thorough knowledge of Scripture. In teaching in our Sunday-schools, the only books we use are two little tracts called “Questions for the Mendip Schools,”… theChurch Catechism (these are hung up in frames, half-a-dozen in a room), the Catechism broke into short questions, Spelling-books, Psalters, Common Prayer-book, and Bible (6). For More reading was a vital skill, but it had to be the right kind of reading. Thus she provided her students with a very circumscribed curriculum and supplemented it with her own Cheap Repository Tracts which were meant to explicitely combat the popular and/or radical broadsheets and pamphlets that typically circulated among the poor. Her tract titled The Sunday School, for instance, includes an explicitely moralistic message about the transforming effect a Sunday School can have on individuals, families, and communities when everyone learns to make the best of their proper social place. As to the connexion between reading and writing, as vulgarly understood, I discover none that concerns those who depend for their bread on their manual labour, and not on the pen. The first is necessary to them for learning their religion, and filling up their vacant hours, and to prevent that vacuity of thought, or mischievous consequence which ignorance often occasions; the last is not necessary or expedient (Hanway, Comprehensive View xiii). This disconnnect between reading and writing instruction is perplexing to a modern audience, but it was a fundamental principle to these early middle class social reformers and it became the defining controversy of the Sunday School movement in the nineteenth century. Reading was so necessary for religious instruction that these early reformers were willing to risk providing people with the tools to also read what they considered “dangerous” literature. Writing, however, was more closely associated with thinking and social action and thus for reformers like Raikes, Hanway and Hannah More it had no place in Sunday School. Up to this point, the history of Sunday Schools in England would seem to accord with E.P. Thompson’s famous argument in The Making of the English Working Class that Sunday Schools mainly operated as middle class instruments of social control and indocrination (375-376). Though no doubt prompted by the best of motives, reformers like Raikes, Hanway, and More did see themselves as defenders of the existing social order. The conditions of the poor could be bettered and they could be taught to be better stewards of their time and money, but they ultimately could not expect to rise above their God-ordained place in society. Nevertheless, recent scholarship has questioned the extent to which the ideas of these prominent Sunday School advocates spread to the Sunday School movement at large. What began as a relatively circumscribed movement among middle class evangelical Anglicans quickly spread across the country and among Methodists, Dissenters, and even political radicals. What is more, control of these local Sunday Schools rarely rested in the hands of wealthy patrons like More. By 1800, 200,000 children attended Sunday Schools, by 1818 – 240,000, by 1833 – 1,400,000, and by 1851 – 2,100,000 (Laqueur xi). Such figures are staggering and they indicate the extent to which Sunday School instruction quickly became far more dependent upon local and denominational circumstances than the opinions of a few influential reformers. Nowhere is this more apparent than on the question of writing instruction in Sunday Schools. For conservatives like Raikes, Hanway, and More teaching writing was predominately a social and political question and that is how it has been portrayed in the literature since (see Thompson 377). However, as Laqueur has pointed out, this rather limited view of the subject does not take into account the broader scope of the argument in the early nineteenth century (124-125). In reality, many of the fears over writing instruction had faded after 1800 and the opposition to writing was based mainly on religious conviction and denominational politics. In the case of religious conviction, many people were worried that teaching writing on the Sabbath violated the command to “honor the Sabbath day.” Reading instruction was excused because children could be taught the Bible, but some argued that writing was not strictly necessary. This did not indicate an opposition to writing instruction, in fact many Sunday Schools offered writing courses on weekday evenings, but it did limit the number of people who were able to learn to write (Laqueur 138-139). However in denominations like Methodism, which had the highest number of children in Sunday Schools and where the debate over writing was the most fierce, the issue went much deeper. Here, the debate over writing instruction really came down to issues of control with Methodist leader Jabez Bunting attempting to bring the relatively independed Sunday Schools more closely under his supervision (Laqueur 142). In both cases, however, class regulation was not really at issue and, despite the heat of this controversy, many Sunday Schools continued to offer writing instruction throughout the first decades of the nineteenth century. Ferguson Carr, Jean, Carr, Stephen L. and Schultz, Lucille M. Archives of Instruction: Nineteenth-Century Rhetorics, Readers, and Composition Books in the United States. Carbondale: Southern Illinois UP, 2005. Power, John Carroll. The Rise and Progress of Sunday Schools. New York: Sheldon, 1863. Taylor, James Stephen. 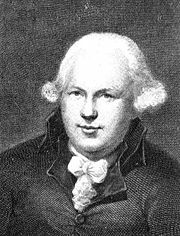 “Philanthropy and Empire: Jonas Hanway and the Infant Poor of London.” Eighteenth Century Studies 12.3 (1979): 282-305. Archives of Instruction: Nineteenth-Century Rhetorics, Readers, and Composition Books in the United States. Jean Ferguson Carr, Stephen L. Carr, and Lucille M. Schultz. Carbondale: Southern Illinois UP, 2005. 283 pp. Throughout Archives of Instruction, Ferguson Carr, Carr, and Schultz consistently challenge common assumptions about what archives are and how they operate. For them, the term “archive” itself is one that is constantly shifting depending on context and perspective. As they put it, “An archive is an official collection of written materials. Any particular archive is at once a fragmentary and an interested record of textual production, the consequence of innumerable local decisions and unforeseen contingencies about the production and preservation of a large array of texts” (19). The authors of Archives of Instruction illustrate these complexities by focusing on nineteenth century textbooks as the site of archival investigation – books that are themselves “sedimented artifacts” (12) that bear the traces of texts that have gone before. By examining these artifacts, the authors seek not simply to provide historical perspective on the archives of composition, but to challenge the reader to consider the sources and sites of instruction that have been systematically written out of the history of composition and suggest some implications for modern pedagogy. To do so, the authors break the archive into three broad categories, categories which are mirrored in the book’s three lengthy chapters: “Reproducing Rhetorics,” written by Stephen Carr; “Reading School Readers,” by Ferguson Carr; and “Constructing Composition Books,” by Schultz. Each type of textbook bears its own particular purpose, place in the archive, and implication for modern practice. 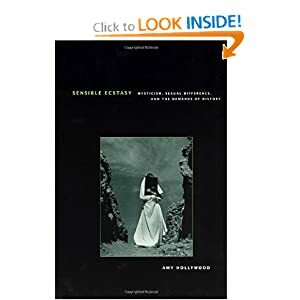 By examining them separately and in detail, the authors are thus able to tease out the particularities of each genre and read these texts as living, breathing records of the past. In “Reproducing Rhetorics,” Stephen Carr defines rhetorics as textbooks that “propose theoretical ways of mapping the instructional field and articulate systematic principles about language, style, invention, and discourse as well as a varied list of other topics: pronunciation, grammar, genres of writing, prosody” (17). Rhetorics, he argues, are a particularly good example of how seminal works in the field shaped other textbooks at a later date. At the beginning of the nineteenth century, the field of rhetoric was still dominated by British scholars, with Hugh Blair’s Lectures the most prominent and most reprinted rhetoric on both sides of the Atlantic. As the century progressed, however, other rhetorics began to appear that, while somewhat original, nevertheless copied entire passages (often without attribution) from Blair or Campbell. This had the effect not only of cementing the status of these older rhetoricians, but it also insured that their interpretations became the standard by which all others were measured. Thus, such rhetorics provide a vivid illustration of how textbooks themselves can operate as archives that bear interrogation for sources and influences. Furthermore, the development of rhetorics over the course of the century in America also indicates the subtly shifting landscape of American letters. While theoretical rhetorics by eighteenth century British authors like Blair, Campbell, and Whatley dominated in America at the beginning of the century, by century’s end they were far less reprinted and the new rhetorics by people like Hill and Genung focused more heavily on practical application than theoretical principles. The second chapter of Archives of Instruction on “Reading School Readers,” shifts focus from the rhetorics that were largely used in universities, to school readers which, by century’s end, were used at all grade levels. In performing this shift, Ferguson Carr implicitly points to some of the ways our discipline has privileged the textual productions of the elite, while labeling textbooks like the McGuffey Reader as derivative and not worthy of serious study. By readers, Ferguson Carr specifically means textbooks which, “instruct students in the analysis of texts and provide a storehouse of cultural materials on which to practice the art of reading” (17). The most famous of these readers is, of course, McGuffey’s and Ferguson Carr thus makes it the focus of her chapter, using it to illustrate, the shift from elocution to composition, the development of a “graded” system of readers, and the consolidation of cultural knowledge by committees of authors. On the first point, Ferguson Carr highlights how the earliest nineteenth century readers encouraged students to read out loud and practice elocutionary skills by prompting them to follow specific instructions for pronunciation and intonation. By century’s end, however, the focus has turned to composition – gone were the intonation marks only to be replaced by selections for imitation. Secondly, the development of graded readers by the McGuffey series points to the clear expansion of education over the course of the century. Serious textbooks were no longer aimed solely at universities, but at primary and secondary schools as well. The rise of these “graded” readers also coincided with the rise of graded schools and continental educational theory which laid greater stress on cognitive development. Finally, the very authorship history of the McGuffey Readers (only four of which were actually written by McGuffey) indicates the extent to which these readers were collaboratively compiled from a common store of knowledge that at least one group of people thought was important for the populace at large to be familiar with. The final chapter “Constructing Composition Books,” by Schultz leads us to the very end of the nineteenth century and the development of dedicated composition books which “organize and invigorate activities of writing that earlier operated primarily to support instruction in reading and grammar” (17). This chapter primarily offers close readings of two nineteenth century composition books: Parker’s 1832 Progressive Exercises and Frost’s 1839 Easy Exercises in Composition. Both books illustrate the changing definition of writing during the nineteenth century and both also highlight how writing instruction shifted towards practical “exercises” that directed the writer progressively from invention through various simple genres like narration and description, to polished arguments on abstract subjects. Thus composition books in the nineteenth century were in reality a new genre that provided detailed guidance for students of all ages. In her close readings of these two books in particular, Schultz not only does an admirable job of highlighting their themes and implications for nineteenth century practice, but also points out some of the origins of modern compositions pedagogy in the experimentation of these early and influential texts. Overall, Archives of Instruction is a significant and important work of scholarship. Though our discipline as a whole has undergone a marked “archival turn” during the past decade, few works of scholarship match this in terms of sheer number (over 260) of primary sources consulted. As Patricia Harkin notes in her review of the book in College English, “What impresses me about these books is their scholarship… Scholarship takes time – much more time than institutional mediation, teacher narratives, or institutional calls for reform” (90). These three authors clearly invested the time in traversing these archives of instruction in as many directions as possible. Though some (and especially this literary scholar) might wish that more space could have been given to extended close readings of the textbooks in question, nevertheless Archives of Instruction provides an important index to this archive that future scholars will benefit from tremendously. For, as the authors remind us, the study of this archive has far reaching implications – both for how we read the past and how we understand our discipline today. Harkin, Patricia. “Review: Historicizing Rhetorical Education.” College English 71.1 (2008): 82- 90.